The aim of this study was to establish a new pathologic sub-classification of drug-induced liver injury (DILI) in combination with serum chemistry parameters and clinical observations. From 777 DILI cases diagnosed in China–Japan Friendship Hospital from 2003 to 2014, 590 cases without other concomitant liver diseases were selected for the study. Pathological classification was established. Pathology and serum biochemical correlation analyses in 208 acute cases with complete biochemical data and prognostic information were conducted. We established a pathological classification of DILI according to the target cells of the liver (hepatocytes, bile duct epithelial cells, liver vascular and sinusoidal endothelial cells). In the 590 cases of DILI analyzed, hepatocyte injury accounted for 67.0%, bile duct epithelial injury (including cholestasis and mixed type of injury) 23.9%, and vascular injury 8.8%; about half of them were caused by the administration of traditional Chinese herbal medicines. Acute hepatocyte injury (lobular hepatitis) is further divided into mild, moderate and severe subtypes, while the mixed type of injury is categorized as cholestatic hepatitis and mixed hepatitis. The dynamic liver enzyme curves were established between lobular hepatitis and mixed-type hepatitis based on the combined consideration of histopathology and serum chemistry data. We proved that R value > 5 with cholestasis is a special feature of mixed hepatitis, which clarified the suspicion of the previous clinical classification of R value. Greater attention should be paid to drug-induced bile duct vanishing syndrome and drug-induced vascular injury. 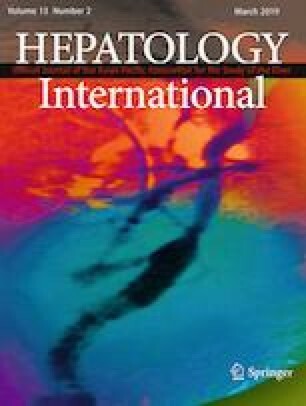 The pathological classification is simple to adopt and practically useful, which demonstrates the consistency between clinical features and liver pathology. The correlation between pathology and clinical biochemistry is an important way to acquire further understanding of DILI. The online version of this article ( https://doi.org/10.1007/s12072-019-09940-9) contains supplementary material, which is available to authorized users. Tailing Wang and Xinyan Zhao contributed equally to this study. We appreciate Dr. David E. Kleiner from the Laboratory of Pathology, National Cancer Institute, USA, who gave us very valuable suggestions and comments on this work before submission. We also thank Dr. Dalin (Dylan) Yao, a former US Food Drug Administration reviewer from JOINN Laboratories Inc., who helped us critically edit this paper. This work was supported by grants from the National Natural Science Foundation of China (no. 81670545). Tailing Wang, Xinyan Zhao, Chen Shao, Lihong Ye, Jing Guo, Na Peng, Honglei Zhang, Jian Li, Yuanyuan Kong, Hong You, Jidong Jia declare no conflict of interest. This article does not contain any study with human participants or animals performed by any of the authors.